The interaction mechanisms at the molecular level that govern essential processes inside the cell are conventionally modeled by nonlinear dynamic systems of coupled differential equations. Our implementation adopts an S-system to capture the dynamics of the gene regulatory network (GRN) of interest. To identify a solution to inverse problem of GRN parameter identification the gravitational search algorithm (GSA) is adopted here. Contributions made in the present paper are twofold. Firstly the bias of GSA toward the center of the search space is reported. Secondly motivated by observed center-seeking (CS) bias of GSA, mass-dispersed gravitational search algorithm (mdGSA) is proposed here. 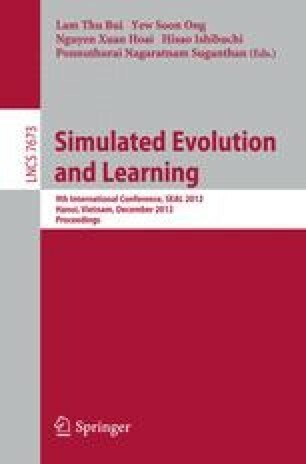 Simulation results on a set of well-studied mathematical benchmark problems and two gene regulatory networks confirms that the proposed mdGSA is superior to the standard GSA, mainly duo to its reduced CS bias.